Fishes of chub-mackerel (Scomber japonicus, Houttuyan, 1782) are mainly caught by purse-seine nets using light attraction. 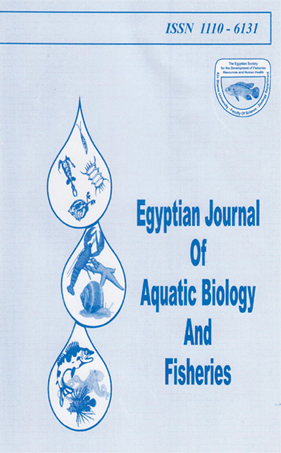 The structure of S. japonicus catch in the Egyptian Mediterranean waters showed that tlus species attains ages not exceeding more than four years. Fishes of age group II dominated the catch, whereas those having age groups 0 (juveniles) and I were absent. The length of51 japonicus reached 25.9 cm during its second year of life. This was followed by a slight increase in length during the third and fourth years reaching 29.6 cm and 32.2 cm respectively. The back calculated weight for £ japonicus showed gradual increase in weight as the fish gets older, where weight at the fourth year (252.56 g) was nearly twice that obtained during the second year (133.36 g). The theoretical length (LM) and weight (W*,) calculated by von Bertalanfly equations were 39.42 cm and 453.24 g respectively. The values of condition factor, hepato-somatic and gonado-somatic indices were minimum in August following the end of the spawning season which extends from May to July. The shoals of S* japonicus were characterized by lacking immature fishes, so the length and age at the first sexual maturity cannot be determined. The relative fecundity of this species showed that a female produces from 382 to 625 eggs per gram of body weight.